In my younger years, I was a big fan of those little cookie shops in the mall. While others went for the giant cookies and even those double doozies, I was much more likely to go for the cheesecake brownies. It’s hard to say no to a combination of cheesecake and chocolate. The title of this recipe from Martha Stewart brought back memories of those brownies. However, I feel certain that those brownies of my youth were not made with mascarpone cheese. That one ingredient turned the recipe into a must-bake. Not surprisingly, these brownies were delicious. While you can certainly substitute cream cheese, I recommend using mascarpone if possible. And, of course, use good chocolate. 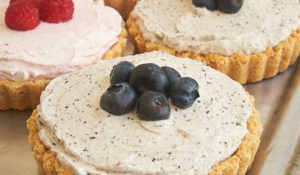 If any of you make these using cream cheese, please let me know how they are. We liked these brownies very much. 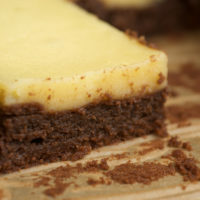 The mascarpone makes them just a bit different than the usual cheesecake brownies. The brownie is delicious on its own, but topping it off with that cheesecake layer is very nearly perfect. Definitely better than any I’ve ever had in a mall. Preheat oven to 350°. Grease a 9″x 13″baking pan and line with parchment paper. Melt chocolate and butter together in the top of a barely simmering double boiler. Remove from heat. Using the whisk attachment of an electric mixer, beat 3 eggs and 1 cup sugar on high speed for about 5 minutes, or until thick and fluffy. 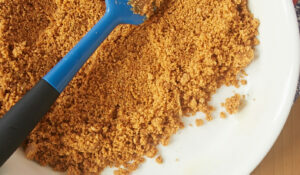 Reduce speed to low and add chocolate mixture and 1 teaspoon vanilla. Mix well. Add flour mixture, stirring until just combined. Spread into prepared pan and set aside. Using an electric mixer, beat mascarpone cheese, 2 eggs, egg yolks, 1/3 cup sugar, and 1/2 teaspoon vanilla. Mix until smooth. Pour over chocolate mixture. Bake about 35 minutes, or until cheese mixture is golden and set. Cool completely on a wire rack. 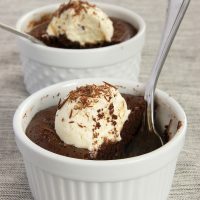 As an alternative to the double boiler method, you can melt the chocolate and butter in the microwave. Heat at half power in 30-second increments until the chocolate melts when stirred. Yum! Two of my favorite things rolled into one.. cheesecake and brownies! They look really moist and fudgy! Yum. I’m definitely printing this recipe out… but I think I’ll try it with the cream cheese. They look good enough to eat! I love cheesecake and chocolate! if they offered something like this at my local mall, i’d never leave. perfection. 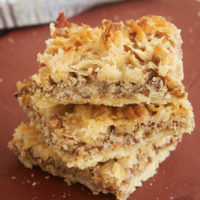 These do look so good and better yet it has chocolate and cream cheese in it.YUM! This is the kind of square that would have caught my attention in a flash too. The only problem is that when you eat it, it’s gone and then you want more. Every time your blog pops up in my Google Reader, I get homesick. 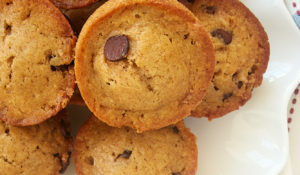 Your photos are hunger pang inducing and the recipes are right there with them! Amy, let me know how the cream cheese version works. Elle, I wish I could send you some of these. Yum! Thanks, Kat! How very sweet! Way better than the “mall cookie!” This would be your grown-up, sophisticated brownie. Thanks for making these for us!! You’re my hero for baking in the summer. How can you bear turning on the oven in July? My flour and sugar containers collect dust from June to August and I can only be persuaded to bake if it’s a special occasion or birthday. Mascarpone must really put these over the top! They look absolutely wonderful! The mascarpone cheese gives it a very different look, almost like more of a custard on top. I would probably try it with cream cheese, I’ll let you know if I do! Whoaaa these look great! Maybe make them a little more Italian (because there’s mascarpone in them 🙂 and stir in a little bit of espresso into the brownie batter. I might try this if I make them…. Oooh these look interesting! I’ve only ever made chocolate cheesecake brownies with cream-cheese before, so this certainly looks like something I’d try – is the top layer just cheese or is there somehting mixed in with it? The brownie layer underneath looks heavenly, I’m really craving a piece!!! Glad y’all liked them, Nan. 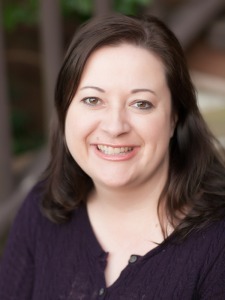 Courtney, hope you like them! Constance, I am a big fan of air conditioning. That’s how things get baked in my house. JEP, I’m sorry to say that they’re all gone! Patti, I’m not a huge coffee flavor fan but I think you’re on to something. Let me know how that works if you try it. Emily, click the recipe link. There’s sugar, eggs, and vanilla mixed with the mascarpone. Yum! I will always go for the cheesecake brownies when given a choice. It’s like the best of both worlds, isn’t it? Fudgy brownie plus cheesecake–you can’t go wrong! 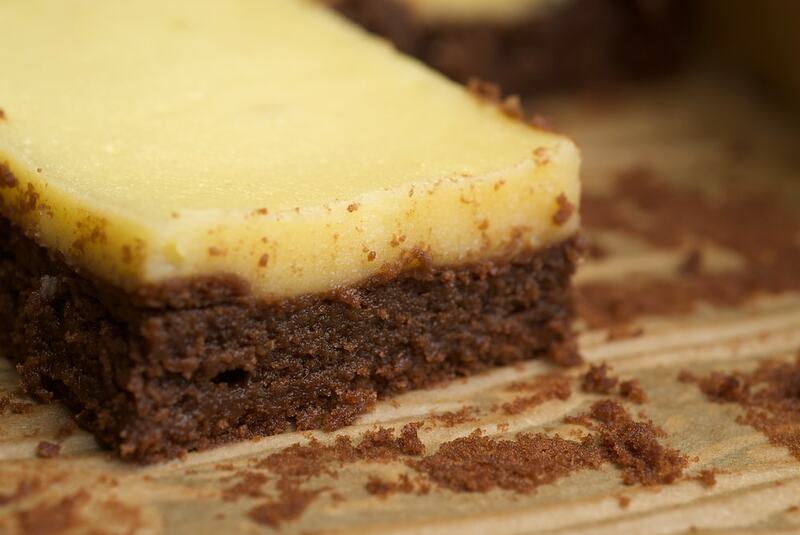 I love cheesecake brownies – this sounds like a perfect recipe! kimberleyblue, you should give them a try! Sara, I couldn’t have said it better myself. So very good. Martha rocks! These brownies look amazing. I’m a fan of cheesecake layers on top of anything. 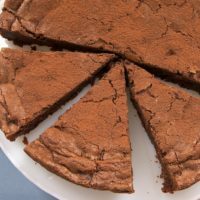 Yet another brownie recipe I must try! 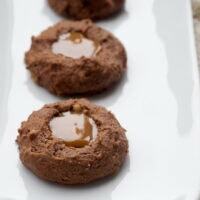 RecipeGirl, let me know what you think if you try them. these look yummy. I m a chocoholic so anything with chocolate is great 🙂 great photos too. YUM! These look great! I tend to get bored with brownies, but this is a great way to make them exciting! Those look scrumptious! I’d make some, but boy, would I be in so much trouble. I think I’ll wait till September, and then make them and bring them in to school first thing in the morning so the other teachers can pack it on too! You’re photos are so beautiful, by the way. Oh my goodness. I’m salivating just looking at these pics! I especially love how the mascarpone turned a little golden on top…beautiful! thanks for a great post, as usual! Haley, I tend to gravitate toward dressed-up brownies. These definitely qualify. Thanks, Meryl! These are certainly good for sharing. oh my! 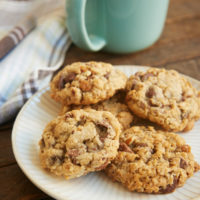 This recipe combines the two most delicious things on earth! Looks amazing….so hungry…..
Sam, let me know how you like them! I just stumbled upon your site. My hips dislike you greatly. But my eyes and soon to be my belly are in love with you! My very first job was at THAT cookie store in the mall! Those were good days! (17 or so years ago). 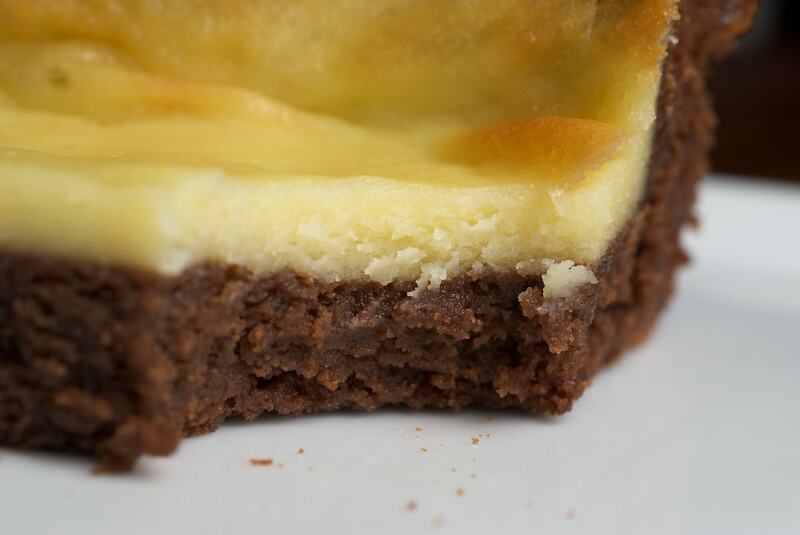 The cheesecake brownie- YUMMIE! oh wow that looks so good… the diet wants to go down the toilet!!! 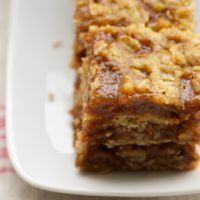 How do you try a recipe if there aren’t any listed? Thanks. gerry, the recipe link is above the top picture. Happy baking!